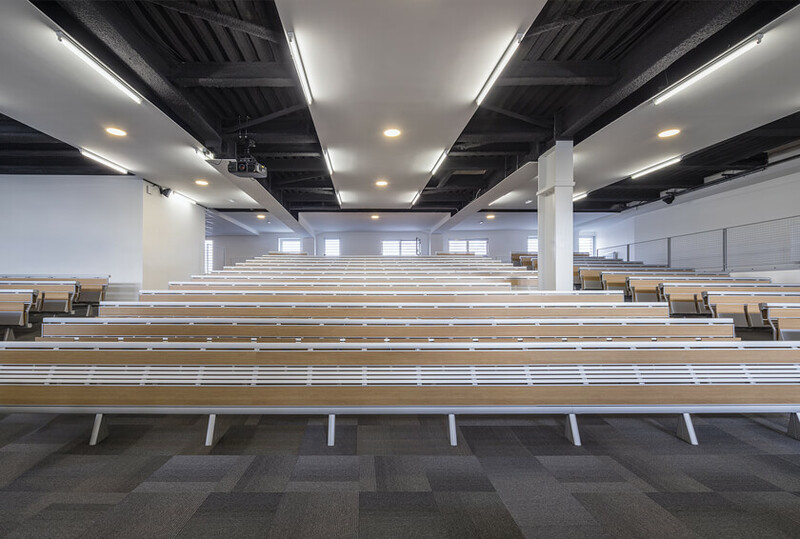 A new significant installation adds to the long list of works in the main universities all over the world, thus confirming LAMM’s design ability to adapt flexibly to specific project needs. EPITA – School of Computer Science & Advanced Techniques, is one of the three French engineering schools for information and communication technologies, which constitute the IONIS Education Group, the main group of private higher education in France. The school offers masters, second level masters and ongoing training courses; inside this group many workshops and research activities are shared, in close contact with the best polytechnic schools in Europe. Affected by important restoration and extension works conceived by Tragin Architectes, the headquarters in Le Kremlin-Bicêtre, not far from Porte d’Italie in Paris, are characterised by a geometric façade, which emphasizes the building verticality, while inside it comfortable double-height lecture rooms guarantee a high quality workspace. 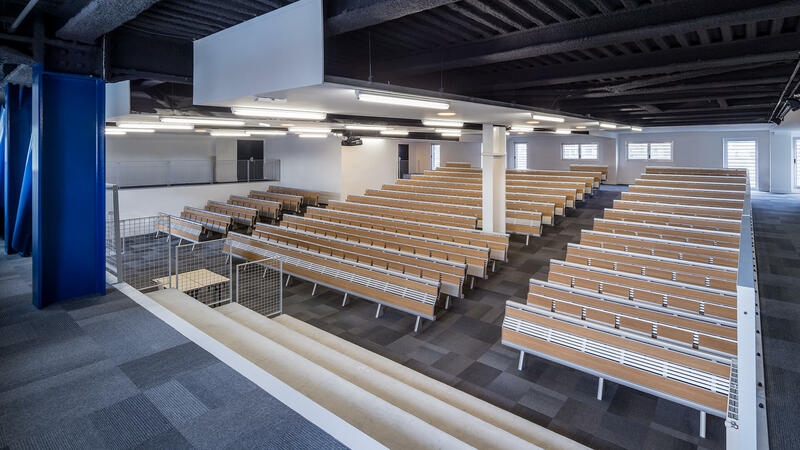 Created according to high standards of flexibility, modularity and comfort, the conference hall is equipped with LAMM Runner study benches, design Lucci e Orlandini, arranged in straight rows on sloped floor. 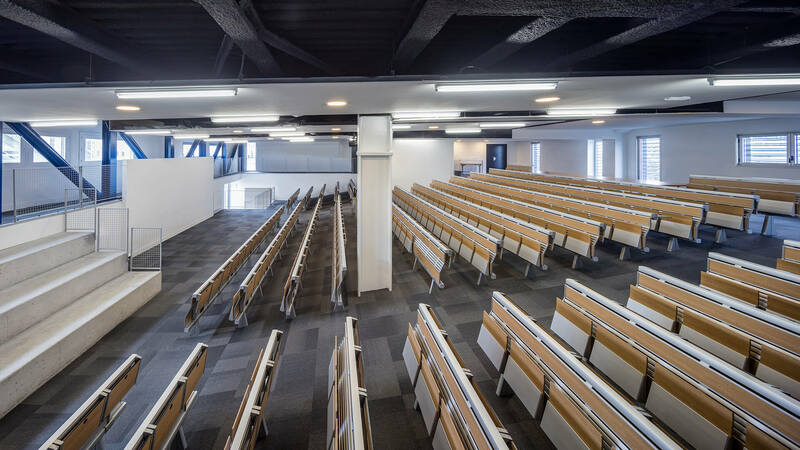 Specially designed for lecture rooms and conference halls, this system has tip-up seats, backrests and tops in HPL with oak finish and anodized extruded aluminium structures with integrated cable management. The installation also includes five deeper places with fixed writing table for wheelchair users. Tip-up seats have an automatic cushioned return, while backrests are designed to follow the anatomy of the spinal column, providing the right amount of comfort. The EPITA conference hall confirms the great success of LAMM on the French market, where a considerable number of installations have been completed, such as: IUT, Paris Descartes, Paris; EFB, École de Formation du Barreau, Paris; IRIS, Institut de Relations Internationales et Stratégiques, Paris; ESC, Rennes School Of Business, Rennes; Centre de Formation du Ministère de l’Intérieur, Lognes; Tour Incity, Lyons; Halle aux Sucres, Dunkirk.